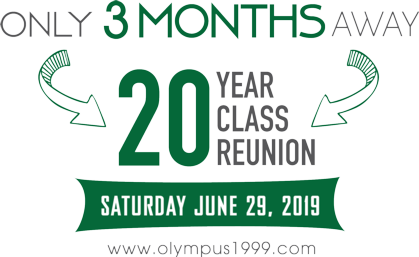 Welcome to the Olympus High Class Of 1999 website! So excited to see all those who have registered! PLEASE help spread word to those who we don't have emails for!! We are still MISSING 169 Titans. Thanks to all of you who took our 20 year reunion date survey.